CD Projekt Red has confirmed it still plans to release two AAA titles by 2021. While we know one of these titles will definitely be dystopian RPG Cyberpunk 2077, we're still in the dark about what the second title could be. 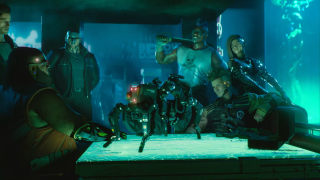 This release window was reaffirmed on the official CD Projekt Red forums, with moderator Donata Popławska confirming the studio is sticking to its original roadmap. "As far as the strategy of the CD Projekt Capital Group for 2016-2021 is concerned, its plans to release the second AAA game by 2021 remain unchanged," the moderator wrote (translated via Resetera user Antiax). However, Popławska did not expand on what the second AAA title to be released in this time frame could be. "We are currently focusing on the production and promotion of Cyberpunk, so we do not want to comment on further projects," they continued. What's next for CD Projekt Red? The developer previously revealed its plan to release two AAA titles by 2021 but often, due to a variety of reasons, plans change. Fortunately, it seems that hasn't been the case with CD Projekt Red which still intends to follow its previously laid-out roadmap. We are hoping that this second title could be the long-awaited next entry in The Witcher series (fingers crossed). But then again, it's entirely possible that CD Projekt Red is working on another new IP. Hopefully E3 2019 will shed more light on the situation, as we know CD Projekt Red will be making an appearance.